NFL Black Monday 2019: What Coaches Are Being Fired? Why is the Monday directly following the last game of the NFL season each year so important in the NFL? It is typically the day that most NFL teams fire their head coach, and/or coordinators, and/or general managers after a season of unfulfilled expectations. Some teams don’t even wait till this “official day” any more like the Cleveland Browns (who are always firing coaches) and the Green Bay Packers, who made a rare change. The mid-season causalities were former Cleveland Browns coach Hue Jackson and former Green Bay Packers coach Mike McCarthy. Now, we’re awaiting the reports of the next wave of firings. So, follow along as the announcements come after the NFL Week 17 games. he Miami Dolphins made the playoffs in the 2016 with a 10-6 record, which was head coach Adam Gase’s first season with the team. But since then, Gase has gone 6-10 in 2017 and 7-9 in 2018. His job reportedly was on the line coming into this season and with another losing season completed…it was just a matter of time before he was let go, according to multiple NFL sources. The guessing game with Gase’s status is over and he’s been fired, according to ESPN’s Adam Schefter. In addition to the Gase firing, Schefter reported that the Dolphins made some front office changes concerning former Executive Vice-President Mike Tannenbaum. The Cincinnati Bengals were guided by Marvin Lewis for 16 seasons and in that time he compiled a 131-122-3 record. But the glaring “black eye” on his resume was an 0-7 record in the playoffs and that’s what finally cost Lewis his job. Lewis was officially fired by the Bengals, according to the NFL Network’s Tom Pelissero. 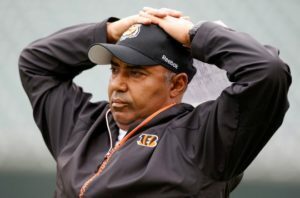 Many people thought the team was going to fire Lewis last season but owner Mike Brown brought him back for one more year and the Bengals went 6-10, which was the team’s third straight losing season. As of Sunday night, there was no official word on the status of the Denver Broncos head coaching job, but John Elway, the Denver Broncos president of football operations/general manager, flirted with the idea of canning head coach Vance Joseph last season in what would have been a “one-and-done” situation in the mile high city. But it appears that Joseph will not survive this year’s NFL Black Monday situation. 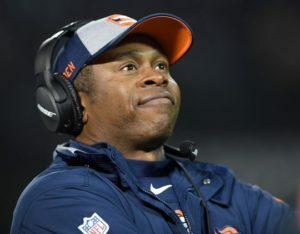 Fox NFL Insider Jay Glazer said on Fox NFL Sunday that he believes Vance Joseph will be one of the coaches fired for the NFL’s Black Monday. Joseph didn’t have to wait long on Monday morning to find out his fate as Elway fired him, according to the NFL Network’s Ian Rapoport. Joseph didn’t have a great quarterback in his two seasons in the mile high city as he went 5-11 last season and 6-10 this season. 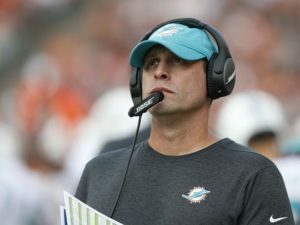 He left the Miami Dolphins defensive coordinator position to take the Broncos head coaching job and according to NFL sources, he might land as a team’s defensive coordinator for the 2019 season.